The North Korean and Libyan nuclear diplomacy models have little in common with Iran today. In his remarks, Steinitz held up as a paradigm of success a 2003 agreement in which Libya relinquished its nuclear program entirely. He and other critics of the P5+1-Iran Geneva agreement have suggested, however, that the deal with Iran is more like the 2005 and 2007 accords with North Korea, in which Pyongyang promised to shut down its nuclear program entirely, and then restarted it. Venerable historians Earnest May and Richard Neustadt have warned against the inappropriate use of historical analogies in political decisionmaking, and in this case their exhortation is apt: Iran’s nuclear program and current political position bears little relation to either one of these so-called “models.” In each case, a brief look at the stage of the domestic nuclear program in question as well as constraints faced by the leadership elucidates some sharp contrasts. The Iranian nuclear program differs markedly from that of the late Muammar Gaddafi, who had longstanding nuclear ambitions for Libya, but little technological success. After trying for years to establish an indigenous nuclear program with no luck, Gaddafi became a customer of AQ Khan—the head of a black-market nuclear technology ring run out of Pakistan. Through Khan, Gaddafi purchased centrifuges, nuclear material, and weapons designs. His atomic aspirations ground to a halt, however, in 2003. After withstanding years of sanctions, Gaddafi announced that he would voluntarily relinquish all of his WMD programs. The announcement came after U.S. allies interdicted a Libya-bound ship carrying centrifuge parts. It also came just months after the United States’ invasion of Iraq, and a period of concerted diplomacy. Experts debate which of these factors was most important to Gaddafi’s decision, but within months, international inspectors were removing Khan’s illicit wares from Libya. It is not hard to see why it would be tempting to hold the Libya case up as a model, but it is just as apparent why this is unrealistic. Despite Gaddafi’s longstanding desires to the contrary, Libya had only an embryonic indigenous nuclear infrastructure, and what it had was kept secret. There were therefore few stakeholders—scientists, the populace, leaders or other special interests—who had an investment in Libya’s program. Gaddafi came to power through a coup and ruled for decades as a strongman, with little need to consider public promises or opposition groups. Unlike Tehran, which has for years insisted at home and abroad that it has an inherent right to enrichment, and must consider how concessions will be received by hawks within the country, there were few constraints on Gaddafi’s volte face. Despite arguments by critics that a “Libya Model” should be the standard for a good deal with Iran, these programs and their leaders’ political constraints bear little similarity to one another. In fact, the most obvious connections between the Libyan and Iranian nuclear programs may be their connection to Khan and the Stuxnet worm, which was allegedly used to delay Iran’s nuclear program and may have been tested on the P-1 centrifuges that were removed from Libya after it relinquished its own. Moreover, Gaddafi’s fate after the Arab Spring began may mean that we are unlikely ever to see this denuclearization “model” used again. Perhaps the more important analogy to debunk, however, is the one that suggests that the Geneva deal is like the 2005/2007 agreements with North Korea. Highly-placed Israeli officials and Republican lawmakers alike have drawn this comparison in recent days. The Diplomat’s Zachary Keck has already demonstrated that the history of nuclear diplomacy with these two countries is quite divergent, but the same two factors—the stage of North Korea’s domestic nuclear program, and constraints on leadership in Pyongyang—shed light on why the Geneva agreement is unique. In 2005, as part of the Six Party Talks, North Korea agreed to abandon all of its existing nuclear weapons and weapons programs, and come into compliance with the international nonproliferation regime. This came after a decade of fits-and-starts diplomacy with the Hermit Kingdom, and collapsed after additional US sanctions on Banco Delta Asia . The 2005 agreement was revived in 2007, but fell apart again due to shoddy North Korean compliance. By 2005, however, the North Korean nuclear program was quite a bit different than the Iranian program is today. Pyongyang may have already had enough fissile material for a nuclear weapon when the Agreed Framework was negotiated in 1994, and certainly had enough for several by 2005. The 2013 Geneva deal, in contrast, aims to pause Iran’s program short of one bomb’s worth. Between the 2005 and 2007 Six Party Talks, North Korea tested its first nuclear device, and also provided significant sensitive nuclear assistance to Syria. By contrast, U.S. and Israeli intelligence estimates continue to maintain that Iran’s Supreme Leader has not yet made the decision to build the bomb. North Korea withdrew from the NPT in 2003, and was not subject to IAEA inspections after that date. It pledged to return to the non-proliferation regime and accept IAEA safeguards on its nuclear facilities as part of the 2005 agreement, but never followed through on this. 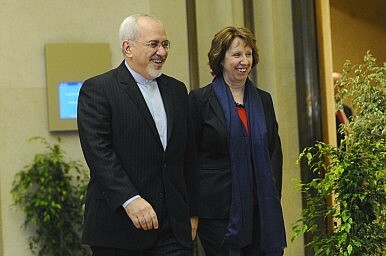 Iran, by contrast, is a member of the NPT and its program has been subject to continuous IAEA inspections. The IAEA has expressed significant, sustained concern about possible military dimensions of Iran’s program, but has been monitoring declared nuclear facilities regularly. The Geneva agreement will now allow these inspections to occur daily. The international community cannot rule out the possibility that Iran has undeclared nuclear facilities, but no agreement can hope to restrain this unknown. Taken together, the Geneva deal pauses the Iranian program before Tehran possesses the material or has made the decision to produce a nuclear weapon, and keeps it solidly inside the non-proliferation regime. The 2005 and 2007 North Korean agreements could do none of these things. Just as important as these differences in stages of their respective nuclear programs are the differences in the leadership incentives in Tehran and Pyongyang. Over the years, North Korea has entered into and reneged on numerous nuclear accords in exchange for energy and food aid. There is no question that the people of North Korea are in desperate need of these supplies, but the Kim dynasty has proven to be quite inured to the needs of its populace. In fact, many experts contend that the regime’s ability to remain in power requires that it isolate ordinary North Koreans from the outside world. Therefore, while scuttling agreements has prevented Pyongyang from receiving aid, and this undoubtedly inflicts great pain on the North Korean people, it may actually advance the goals of its rulers. Whether one believes Hassan Rouhani is a true reformer or a “wolf in sheep’s clothing,” there is little doubt that he was elected with a mandate to turn around Iran’s tanking economy, and that the last few months of Iranian diplomacy reflect this fact. The decision to uphold the Geneva agreement and strike a more comprehensive deal in the future of course rests primarily with the Supreme Leader. But Iran has already shown itself to be at least minimally responsive to its people’s needs. The fact that a relative moderate (albeit, regime insider) was allowed to run for and win the presidency at all is an important sign in and of itself, and one that means that the populace is necessarily part of Iran’s decision-making calculus. Some interim sanctions relief, with the promise of more to come, may well be a more compelling inducement than aid ever was to Pyongyang. The inappropriate use of the Libya and North Korea analogies is problematic for more than academic reasons. Invoking these historical parallels may help to shape present-day expectations when it comes to Iran. Iran’s program is much farther along than Libya’s and not nearly as advanced as North Korea’s. We should not expect that a final deal with Iran will leave no centrifuges spinning. But we would also be remiss to assume that Tehran is quickly going to renege on their end of the bargain, as in the North Korean case. The regime will have to continue to navigate between domestic hardliners and the substantial proportion of the population that is eager for economic relief and more global engagement. More useful than drawing historical parallels across nuclear cases, however, may be comparisons within this case: The Geneva deal leaves all parties better off than they were last week, and better off than they would be six months from now in the absence of an agreement. Whether or not the bargain will produce a lasting solution remains to be seen, but we should not doom it by assuming that history must repeat itself.